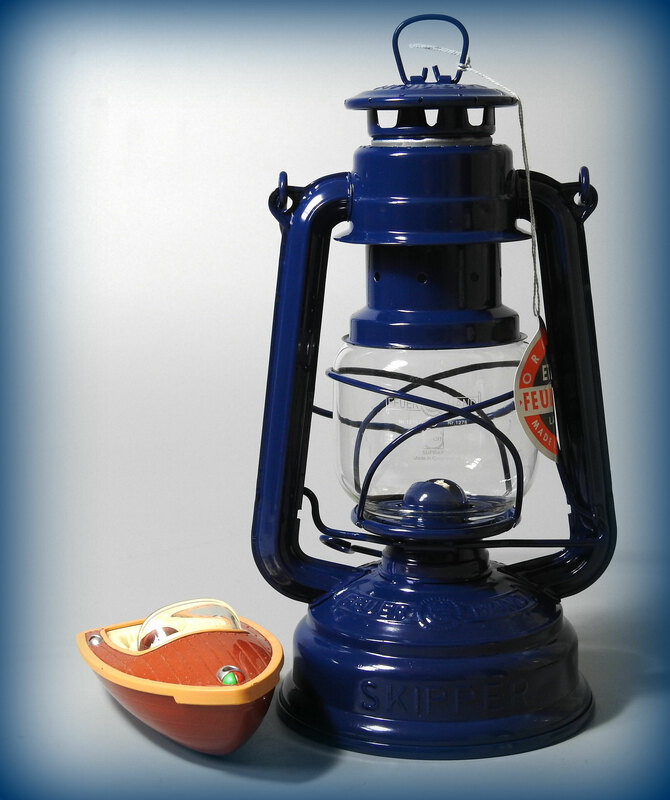 This is obviously a newer kerosene lantern produced by Feuerhand. It is the Eternity Nr. 276 model which is embossed 'SKIPPER' on the fuel fount. It is a limited edition special order by a boat company.